Owners of Castray Esplanade Food + Wine, Michael Roberts and his wife Karen, are both well-known Tassie foodies with over 30 years’ experience in the business. 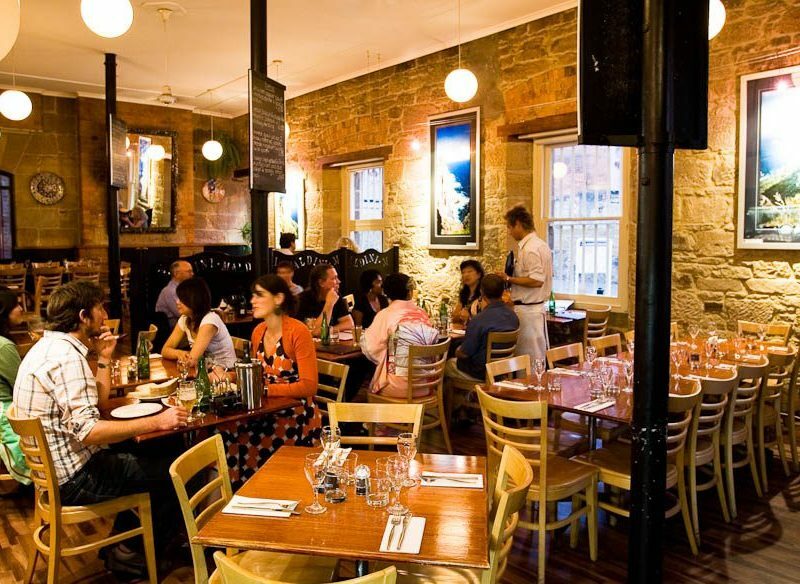 Michael shares his dining tips for dining experiences under $50 around Salamanca. Start the day at Tricycle Café. 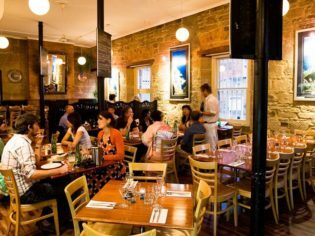 Housed in one of the striking sandstone warehouses that line Salamanca Place in Hobart, Tricycle is an excellent place for breakfast – spoil yourself with one of their delicious friandise to go with your second cup of coffee. Service is relaxed, yet professional. Michael and Karen Roberts from Castray Esplanade Foods. Grumbling belly at lunch time? Head to Jack Greene for a gourmet burger. This European-style tavern has 18 different types of burgers and also specialises in craft beers – over 100 in fact. Make sure you try one of the fabulous Tasmanian craft beers, like Moo Brew, Iron House or Seven Sheds, or a sensational Tassie cider such as Captain Bligh’s or Willie Smiths. Make dinner reservations at Maldini – a fine dining Italian experience without the price tag. The restaurant is run by a local Italian family who say food and wine are ‘in their blood’. The menu is created with the freshest Italian ingredients and guests dine alfresco. The specials board always has tempting additions to the menu too – don’t miss it. And the best part of the day… Grape Wine Bar is the place to go for a beverage, or two. They have an enormous selection of around 700 bottles of wine, as well as the finest ports, liquors and spirits. Try a Tasmanian sparkling like the Bay of Fires, or a Tassie Riesling from Craigow. There is a lot of great pinot noir from all around the state on the list as well. Ah, it’s good to know a local.